Founded in 2007, Star Home Remodeling has built a reputation for completing top-notch kitchen remodels, bathroom remodels, and a wide array of other home renovations that enhance the beauty, functionality, and value of our customers’ homes in Plano, Texas, and nearby areas. As full-service remodeling contractors, we are able to handle every aspect of a job, regardless of its size and scope. Although we specialize in beautiful, custom kitchen and bathroom renovations, our skilled team is capable of designing and building nearly any home remodel our customers can dream up. For example, we can construct room additions, including mother-in-law suites, complete with full kitchens and bathrooms. Our home remodeling services can even include exterior renovations, ensuring an addition blends seamlessly with the rest of the home. At the heart of Star Home Remodeling’s service is our highly personalized and streamlined process, which has been carefully created to provide our customers with the maximum value for their home remodels. We place a strong emphasis on educating our clients so they are well-equipped with the knowledge they need to make the best decisions for their homes. This includes having in-depth discussions with our clients to explain all of the design and product options available to them. Plus, we are transparent and upfront about costs and timelines. So, whether you would like to improve your home with a kitchen or bathroom remodel, add square footage to your home with a room addition, or even get more use from your outdoor space by adding a luxurious patio, you can count on us to renovate your home to your precise specifications. At Star Home Remodeling, we offer tailored services – never cookie-cutter solutions – to our clients in Plano, TX, and nearby communities. Whether a customer wants a kitchen remodel, bathroom remodel, room addition, or other home renovation, we not only provide custom design/build services, but we also incorporate products specifically for their unique needs. From constructing new elements, like elegant fireplaces and spacious pantries to installing premium products, such as custom cabinets and spa-like bathtubs to including warm lighting, mirrors, and other finishing touches, we go above and beyond to ensure our customers love their remodels down to the last detail. Additionally, all of the home renovation services we offer are completed by industry specialists who are highly skilled. At each stage of the remodeling process, our team provides top-notch service while making customer satisfaction a top priority. 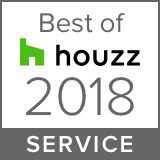 Throughout our years in business, our work and dedication to our clients have earned us a number of accolades, including multiple Best of Houzz awards. If you are ready to begin the design process of a kitchen remodel, bathroom remodel, home addition, or another home renovation project, contact Star Home Remodeling today. We’ll be happy to have a pressure-free discussion about your remodeling goals. You’re also welcome to visit us at our Plano, TX, showroom where you can see some of the work we can do in person and speak with our knowledgeable team. Our Customers love our home renovation work. Read what they have to say about Star Home Remodeling! Our service areas include: Plano, Allen, Frisco, McKinney, Fairview, Lucas, Richardson, North Dallas and other surrounding communities. We offer turn-key kitchen renovation services, including: floor-plan enhancement, custom cabinets, countertops, backsplashes, floors, and more. Learn how we can turn your old kitchen into your dream kitchen!. Trust us to guide you through the most important bathroom remodeling decisions: form, function, and quality. 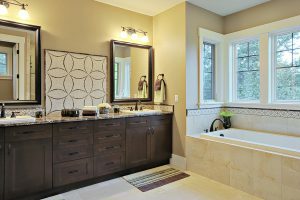 We can help you assess all your options: shower, tub & surrounds, custom cabinets, countertops, floors, lighting, mirrors, ventilation, and more. We offer a variety of options for custom cabinets including modular and new custom cabinets. We also offer cabinet modifications, refinishing and refacing options. We will walk you through your options to help you determine the style & finish that fit your overall design. Kitchen countertops, vanity countertops, and other rooms’ countertop options often provide one of the most stunning focal point of any remodel. We have a large selection of quarts, granite, marble and other solid surface options. Sometimes a home needs a more significant remodel than just remodeling a kitchen or bathrooms. Let our experienced remodeling experts walk you through the options of a complete home remodel, not only kitchen, bathrooms, windows, paint, but also exterior home veneers, outdoor kitchens, patios, HVAC, plumbing, electrical, and a whole lot more.